If you’re not familiar with visual search (and I wasn’t in this context), it’s search and retrieval instigated by the searcher “showing” a device or product like the one they’d like to buy (or if not buy, then get more information about). Here’s an example: shop for dog food by showing your device the near-empty bag of dog food in your pantry, and then buy it from Amazon or another online retailer. Go ahead and look into the Amazon Echo Look for a visual-search-type device that’s almost to market. 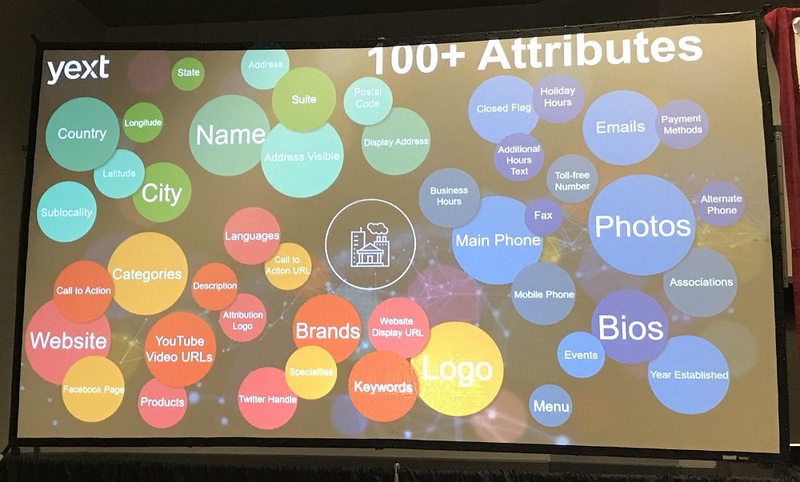 If we as marketers understand that text-based search is trending-down-to-obsolete over the next two years, and that our customers will be searching with their voices and images, what do we do to evolve our marketing strategies? 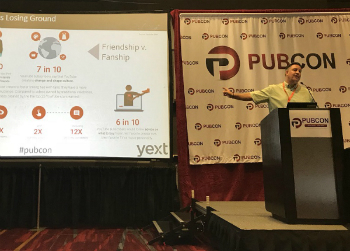 Director of Account Strategy at Marketing Refresh, Katy Katz, and VP of Industry Insights at Yext, Duane Forrester, shared their plans of attack for exactly that with the rapt audience at Pubcon Las Vegas this week. Look at those top voice-activated actions! They’re pretty personal. Your customers expect personalization. They’re expecting you to know who they are and what’s important to them. They want you to personalize their experience. Consumers ask questions in a personal way. Artificial intelligence (AI) is now smart enough to answer these questions. Katy’s 5-year-old used Alexa and said, “Alexa, play Darth Vader.” Smart Alexa played the Imperial March. We can type 40 WPM, but we can speak 150–160 WPM! With voice search, people will articulate their queries more specifically and precisely. The 5 Ws: Voice-triggered searches are usually looking for a result that answers a who, what, where, when, why or how question. Conversational: Voice searches are typically conversational (that is, use natural language). Long-tail: Voice searches are long-tail queries by their conversational nature. Mobile: Voice searches are done primarily on mobile devices. Clear intent: Voice searches are performed with a very clear and specific intent in mind. Define your goals. You know the drill. Make sure they’re specific and measureable. Help you focus on what to focus on. She probably spends 80% of her time helping clients identify the goals that will give the highest ROI. ID your audience. Take the time to get to know your audience in audience interviews. You’ll learn about their pain points and goals and the questions they want to answer. There’s nothing else like talking to your customers. Achieve language-market fit. This term isn’t used a lot but it’s a big deal when it comes to search. It’s qualitative research into the exact words and phrasing that your buyers use to describe your product, service or category. Talk like your customers! Map the buyer’s journey. Your customers are working through questions at each phase. If there are gaps in your content you’re missing out on opportunities. Snag those snippets. Design your content to optimize for featured snippets. Google Home and Siri are pulling quick answers for this. Short in nature. Simple, concise. Answers the questions in a way that provides utility for the user. The amount of snippets doubled this year. A snippetable post is short and digestible, fact-based logic; if Google already owns the Knowledge Graph, don’t even try to answer it. Schema markup. Tell the search engines and AI what information is about. Making sure your house in order with different schema types is imperative for voice search. Brand optimization. Manage your brand across the web. 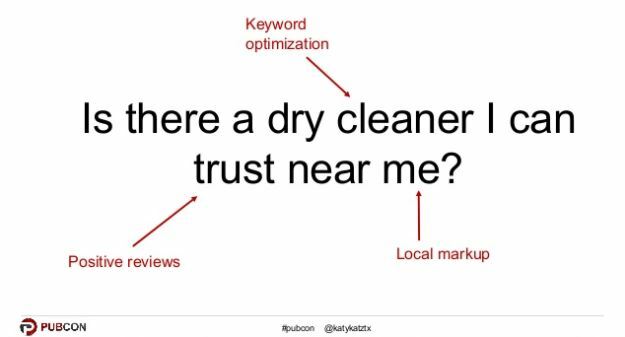 Off-site SEO and PR is everywhere. Local SEO, social media, off-site SEO, reviews are all influencing your consumers throughout their journey. It takes 6-8 touches for a prospect to convert to a sale. For local SEO, check out Moz Local, Yext, Reach Local, GMB. For reviews, check out Get Five Stars, Review Trackers, Yotpo, Reputation Loop — help you with automated tools to grow your reviews and show yourself as a trustworthy provider. In sum, your buyers have questions each step of the way. There is no part of the journey that is more important than any other. Own the conversation. Own your brand. The media we consume is shifting from the silver screen to our digital devices. With that, influence is shifting and celebrities are losing ground. Today, 6 in 10 YouTube subscribers would follow advice on what to buy from their favorite creator over their favorite TV or movie personality. Another area where user behavior is opening new avenues for marketing is local search. Location search is exploding. Note, however, that the growth in “near me” searches is flattening as it becomes assumed. 76% of people who use location search visit a business within one day. 28% of location searches result in a purchase. Digital maps reduce travel time by 12% on average. Digital maps save people more than 21 million hours per year. 63% of digital map users take advantage of them to plan safe routes. Digital maps have supported more than $1 trillion in sales for businesses. Geospatial services help companies raise revenue and diminish costs by more than 5%. Anyone hear about RankBrain lately? No one? That’s because it’s too busy out there learning. Voice search is an important inflection point for us in the marketing community. 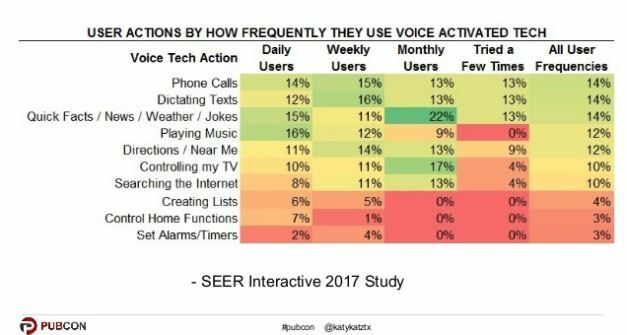 Where we saw mobile coming, voice search is now here because all the tech that makes it possible developed independently. There are 180 companies in China developing voice search speakers. Duane predicts that in a year, North America will be inundated with cheap, accurate voice search systems. The current players will carve out the higher end and the newer players will carve out the lower end that is able to perform nearly as completely. Voice search is going to take off because people are lazy. Now we can just talk and get what we want. The next stage is visual search (image-based search) where the Alexa or Home device will show the searcher what they are trying to buy to confirm that’s what they are looking for. Voice search tech is being embedded into home products like refrigerators and coffee makers. Your refrigerator will ping your phone when you’re at the store and tell you that you’re out of milk. 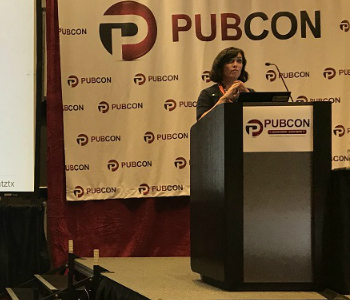 Google’s not going to tell SEOs via Search Console which organic queries were performed with text search and which were voice search. Look into your site’s organic keyword data and find the queries that brought one visitor, maybe with the stop words removed, and then bundle those up and consider them your voice search terms. Make sure your site is clean and accessible. Mobile-friendly matters and consumer behavior is happening on mobile devices. PWAs are the future – one code base for all UX and devices. Your developers are going to love having only one code base to manage, but it’ll be a few years for the technology to allow for this. Secure your site, move to HTTPS. Check out the Wired.com articles where they detailed their move to secure. It was hard. Today’s consumers want to attach to businesses that reflect their values. That doesn’t equate to donating to a cause, it’s more like getting your whole company to do a 5K in support of that cause and documenting the whole thing. Really invest in developing your brand in terms of its support of relevant and interested communities. Brand loyalty dropped a while ago and now businesses have to demonstrate their mission in their actions. This is your future: the digital knowledge manager. It’s a senior-level, cross-functional position. The digital knowledge manager requires a deep, varied career that has spanned many of the traditional core digital marketing competencies. The digital knowledge manager needs to be able to speak the language of everyone. They will be adept at persuasion and convincing different groups to take on specific tasks. They are an investigator, negotiator, communicator, thinker, and builder. 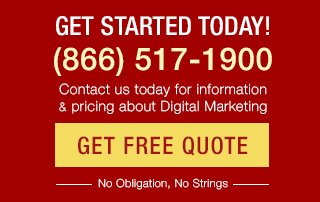 As always in digital marketing, the future is now. Good information for new comers in SEO. Very informative article Virginia! As you said that 20% of the searches on Google Maps are voice based, no one can stop it to be number 1 online search method. I am looking for this searching mechanism. Voice Search is going to be more popular in 2018. We can also call it as future of digital marketing as 20% of searches on the Google apps, and Android devices are currently voice. It’s crucial to be listed in local properties like Google Local and Yelp because often visitors are going to bypass the site entirely and just call your business directly from the search results. Interesting article! Though I’m intrigued by the idea of long tail keywords coming back into the picture. If we see how google made short tail keywords dominate visual search, voice search might be end of this. Another aspect which will be important is type of queries. With voice search IMO, there will be more conversational queries instead of generic ones. More personal and behavioral analysis of a user will be required in order to take decisive steps. Amish: You can currently see voice queries as well as text queries in your Google Search Console Search Analytics report, but they aren’t distinguishable. One rule of thumb (per Purna Virji of Bing) is that the longer, sentence-like queries tend to be the voice searches. 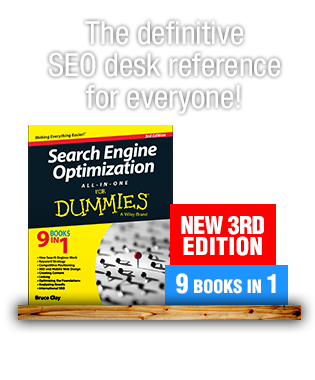 However, we don’t know whether Google will ever clearly split out the different query types. Agreed with most part of the past & its really interesting to see how users will use voice search in the future but as of know I feel its more related to B2C & that to specifically services related. However, important point is, Will google share data on voice keywords as well ? If not then, it would be blind game to play around the voice search. 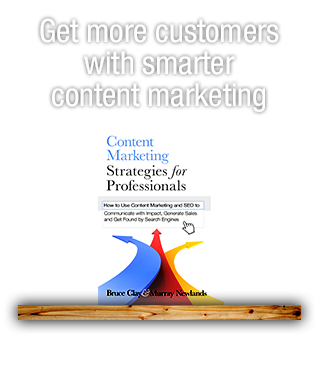 Great content marketing and seo tips.